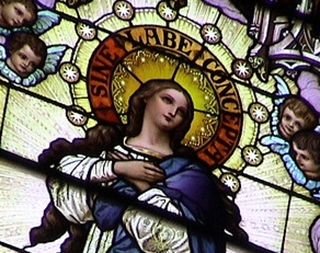 Here’s Day 5 of the Immaculate Conception Novena! I want to say thank you for saving my life today! Without your intercession I would of drowned. Thank you for your glorious blessings and watching over me. Dear Mother of Immaculate Conception, please help me to financial struggles. We have loan, debts, and behind our utilities and bills. Please have more blessing for financially so that we can solve our problems and this coming Christmas I want to give money to our families for both of us in our back home and to pay our mortgages and to help those in need especially those poor in our back home and to donate and help for the church . Keppra my family always safe and protect,. Pray my families love, unity, happiness, love, respect and always in good health. Pray my case for victory on my medical condition as well my husband case. Continous pray my husband to heal his gambling addiction. Pray my son to love and respect us. Thank you very much Mother. I pray to you my graceful mother to intercede for me and helped my troubled heart. Please bless my son Terrence in all his endeavours. Guide him and lead him to greener pastures. Help him to make wise decisions and good moves for his future. Clear all the negativity that has been surrounding him all his life. Bless and protect him from his enemies. And pls clear him of all wrong allegations against him . Provide him with good counselling. May all our financial hardship be cleared . Help my husband with his bad temper. Please Lord soften the heart of the judge, that he would find flaws in our case in our favour. Help him to understand the bias of what is brought before him. I pray that mercy be granted towards our family and bring us back together and we be released from the grip of youth protection. It apparently cares not for the preserva tion of families nor for parents. Instead they strain all relation ships to breaking point and then expect us to function better. How wrong. Please pray for peace, communication and understanding by all parties. Thank you. Thank you lord Jesus for all your many Blessings. Thank you Blessed Mary, Mother of God, for say yes to being the mother of our Saviour. Please I beg of you to find my son employment, a job, a good job, a career, whereby he can support himself and pay off his student loans. O Lord have mercy. He is desperate and feeling hopeless and helpless. Please God hear my prayer and help him find work! Please forgive my weak faith and impatience Lord. Thank you for all your many blessings! Alleluia! I pray that while things are hard and money is tight for individuals and families, that this hardship brings them together rather than tearing them apart. Let’s pray that if it must last, that it brings them closer to God. Lord jesus I place my financial needs into your hands.. I pray for money to finance my son’s tuition fees..Please protect my children and family from evil people with evil in tensions. I pray that u would bless my finances. I pray for my daughter and her health dear Lord. I thank you in advance for my blessings Lord. Loving God, as I lay awake thinking so much of my finacial hardships, I played my novenea, and thought, you were talking directly to me…this is the power of prayer and the hope of these novenas that get me through. I’m a single mother, again appropriate, Mother Mary and the immaculate conception. To talk about Her and Jesus her son. I’m a mother of 3 sons, I’m working 3 jobs, please pray that with Gods Will for me I make the right choices in my work and bring the income in to cover my expenses. Loving God, Mother Mary I pray that my financial struggles are lessened. I pray to You that my relationships with my sons are not judged on the dollar amount in which I have, I pray that they are grateful and humbled by the things I do have. Oh loving God and Mother Mary hear these prayers as I really struggle financially, I ask for Your help, and all those in need. Amen. Mama Mary, pls pray for the success of my studies. May I be able to pass and graduate this April. PLS MAMA MARY, BLESS ME AND MY FAMILY. Please help us overcome all our problems. We’re having problems with our house financially. Our family is tearing apart because of different personalities. I pray my father will find a job soon. I wish my “dream” will come true. I’ve been sick for almost a week and pray I’ll get better soon. Great long healthy life for all of us. Please forgive us and bless us always. I lift up everything to you my Almighty God, the Father Amen. Thanks for everything!